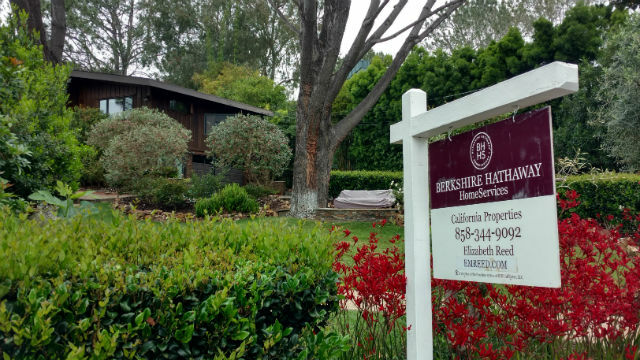 Home sales struggled in San Diego County last month because of a lack of supply amid continued high prices, according to a report Tuesday by the Greater San Diego Association of Realtors. The Realtors said single-family home sales fell 7 percent in April compared to March, while condominium and townhome sales were down by 4 percent. Compared to April 2016, sales of existing homes were 13 percent lower. The median price of a single-family home rose 4 percent in April to $599,350, while condos and townhomes held steady at $385,000. The year-over-year price increase for all property types was 7 percent. “The trend seems to be more buyers than sellers,” the Realtors reported, noting that prices are going up while the number of days on the market continues to drop. In April, single-family homes were selling in an average of 29 days, while condos and townhomes closed in only 23 days. The most expensive property sold in the county last month was an 8,250-square-foot, 5-bedroom, 7-bath newly built estate in Rancho Santa Fe with a price $10.6 million.